Your bathroom can be so much more than a perfunctory space that you have to use, if you look to include some wonderful design touches that will set it apart! Bathroom designers make it seem so easy, but we think we've noticed a few key motifs that will allow you to elevate your bathroom to a really chic and spectacular level. So if you fancy giving your space a little revamp, don't do a thing until you've read these wonderful tips! 1. Add warmth with natural wood. 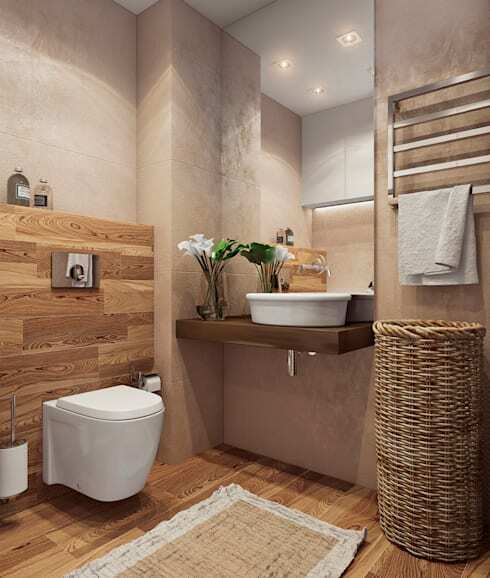 Even a small bathroom can be wonderfully warm and welcoming, if you look to inject a decent amount of natural wood! We aren't just talking about a simple toilet seat though, as for a real impact, you need to think about wood flooring and even boxing your cistern in with gorgeous cladding. 2. Use mirrors to the fullest. Mirrors aren't just a practical addition to a bathroom, as they are so fantastically clever that if you pick the right style, you can effectively make the space seem twice as big as it actually is! This is one instance where size really can matter, as the bigger the mirror, the better the impact! 3. Try a more ornate shower curtain. 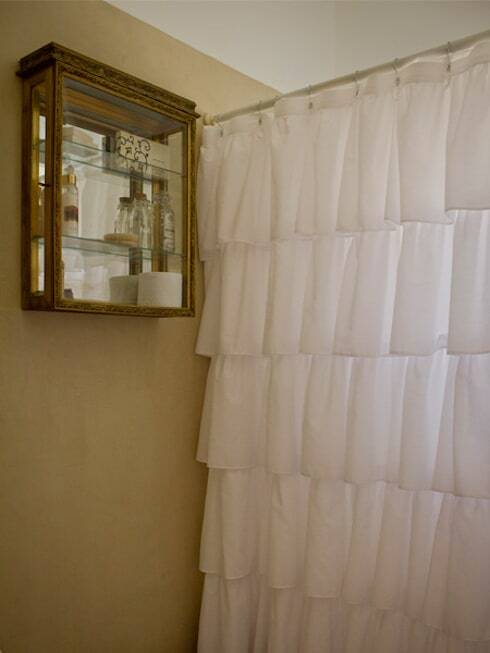 Shower curtains can fall rather flat and make a bathroom feel a little drab, but choose something a little more fancy and you'll be delighted by how fabulous the room becomes! Don't forget that you can pop the curtain in the washing machine too, which is a great way to keep it clean and mildew-free. 4. Equip the space with a plethora of shelves. Your bathroom needs as much storage as any other room, especially when you consider that there are towels, toiletries and toilet paper to stow away. 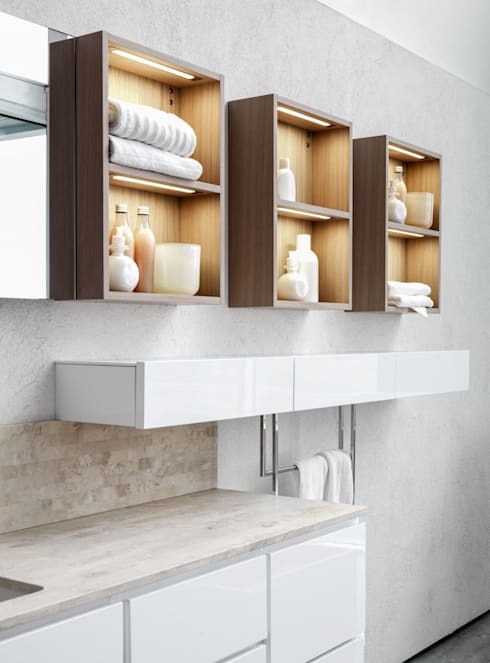 Open shelves offer you the opportunity to display the nicer elements that you've selected and if you pick an accent colour for your towels, the space will be revived. 5. Choose a statement sink. A sink is a must-have in any bathroom, but there are no rules saying that you absolutely have to invest in a standard variation! If your budget can stretch a little bit, we can't think of a nicer way to invigorate your bathroom than with a totally unique and eye-catching sink. Just look at how marvellous this example is! 6. Hide away the clutter. 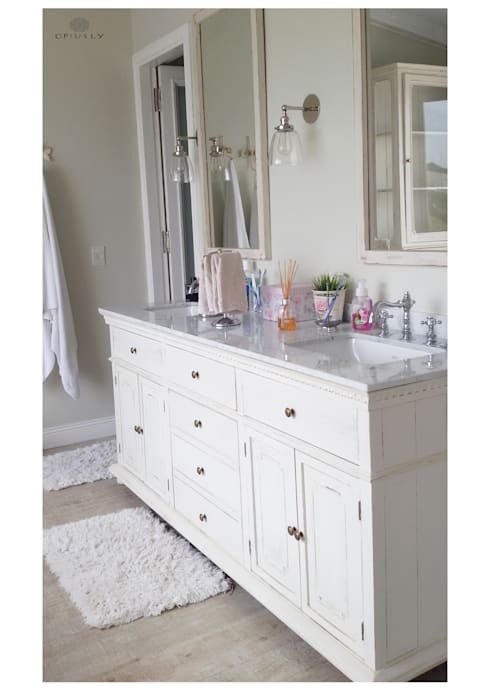 Clutter just seems to accrue in bathrooms at a rate of knots, but you can tackle the issue by having a handy vanity unit in place. Tuck all the most unsightly items away, out of sight, and try to keep a clear surface next to your sink and the whole room will look modern, fresh and bright. 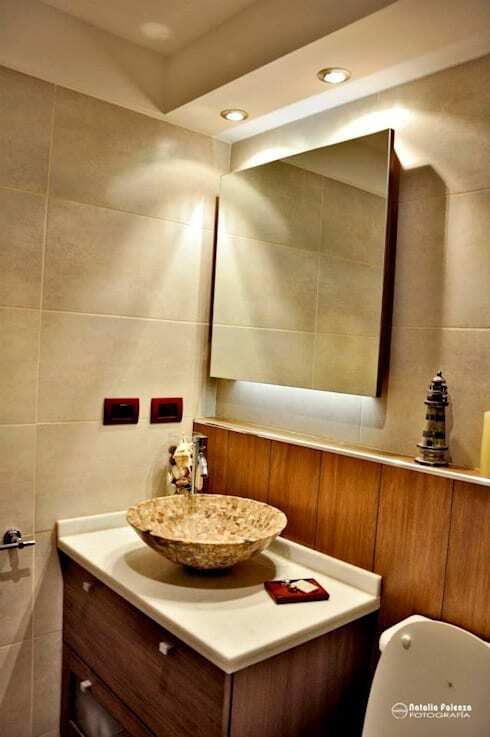 For more bathroom inspiration, take a look at this Ideabook: A bathroom for every zodiac sign! 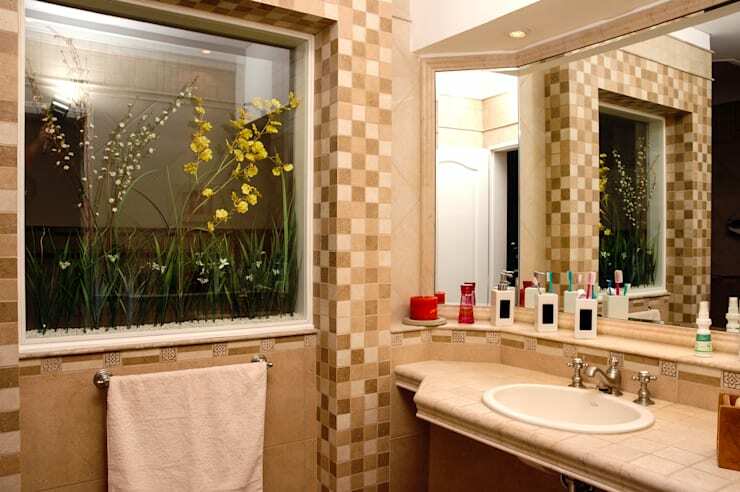 Are you looking forward to trying some of these ideas in your bathroom?